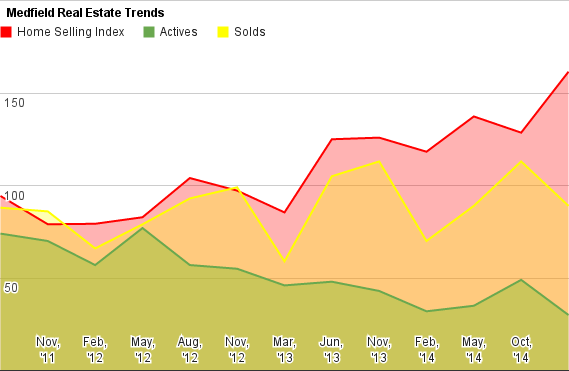 The Medfield market has cooled off -slightly- but the building inventory and slowing sales has a lot to do with buyer's reluctance to push prices higher. 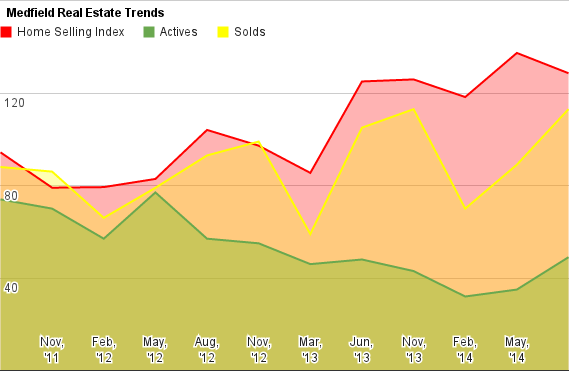 Seller's meanwhile are asking well above market. 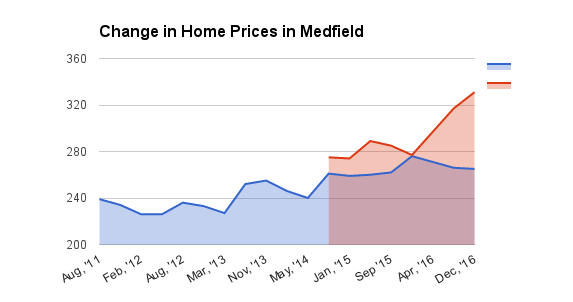 Medfield checks in with a little - very little - softening. Let's see. With a look to our East, we check out Medfield, MA. Here's the chart. 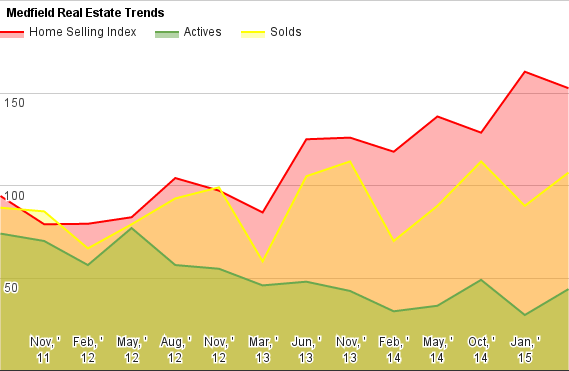 Medfield has had a good spring, with prices reaching new highs here on the blog. Let's take a look at chart, and a deeper dive into the data.